Great advertising stands the test of time. Although, it's not difficult to find really bad, old advertising either. Working with an established brand—BMW reprinted Revard’s creative for their Dealer Kit as inspiration to dealers nationally. 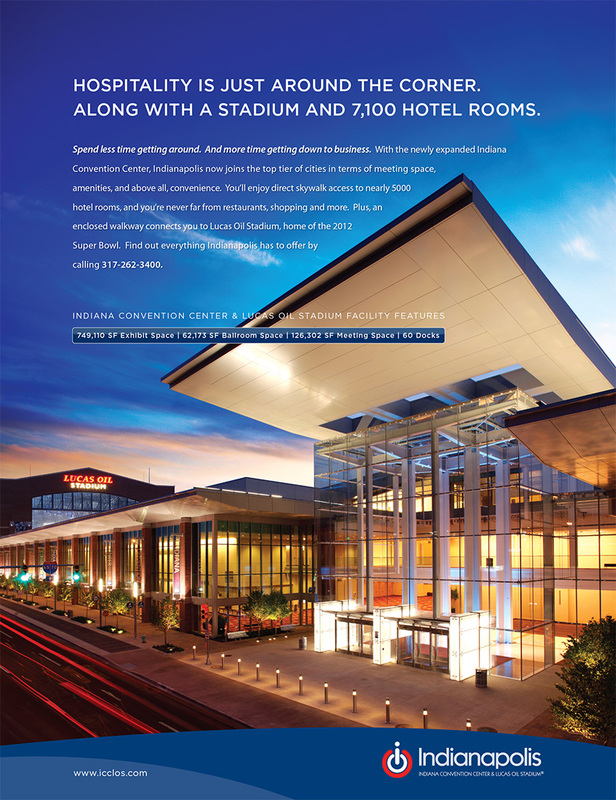 Since convention planners work about 3-5 years in advance, we began creating trade ads for the Indiana Convention Center that alluded to the demise of the RCA Dome well before a single wrecking ball was swung. Meanwhile, Lucas Oil Stadium was under construction. With a light hand this campaign signaled the hard work behind change and progress for Indianapolis. Brand work for post-merger, newly formed utility, Cinergy. The Indianapolis ICE upgraded venues from the Fairgrounds to Market Square Arena. In an effort to compete with the Pacers and the Colts, we built a story around the $9 ticket and how at all costs, the ICE would keep the ticket prices low. Houseworks advertising for Indianapolis Monthly campaign in 2002.